Khalid Sheikh Mohammed's Guantanamo defense lawyer Jason Wright is departing the military in the face of an injustice. 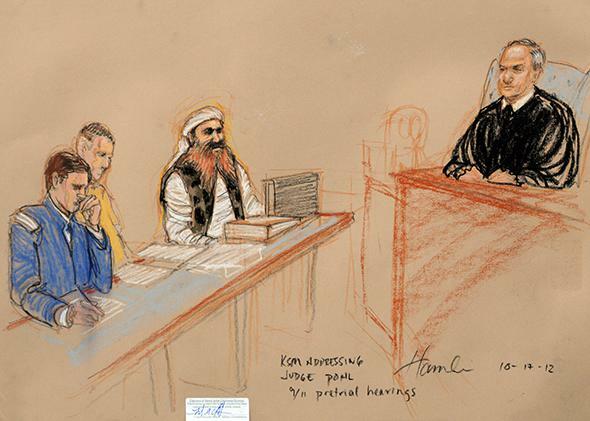 Why Khalid Sheikh Mohammed’s lawyer is leaving the defense team—and the Army. 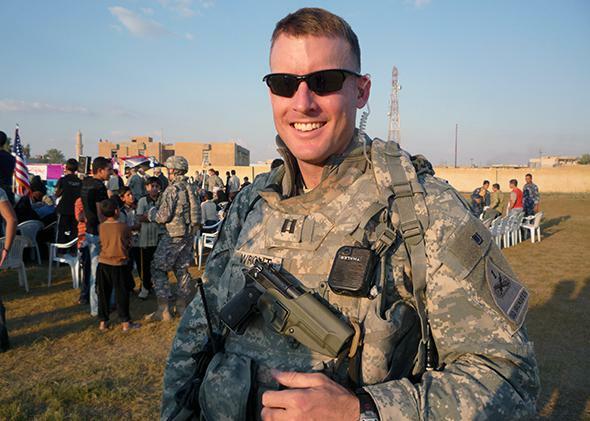 Jason Wright in northern Iraq, where he served in 2007 and 2008. Wright is a believer—or at least he was. He joined the Army post-9/11. He’s seen both sides of the “war on terror” firsthand, having served as an aide to an Army combat general in Iraq, then worked as a criminal defense attorney in Germany for two years before his assignment to the KSM defense team. Ordinarily, JAGs serve as prosecutors before they are detailed as defense counsel, but Wright went directly into defense. “I see more of a chance to challenge yourself as a defense attorney,” he told me. Wright should be the poster boy for the JAG program at Guantánamo, rather than one of its most outspoken critics. He’s blond, clean-cut, and looks like he could be in a “Go Army” commercial during a Sunday afternoon football game. Over the last two and a half years on the Mohammed defense team, however, Wright’s understanding of how he can best serve his country has evolved. He sees it as a JAG’s duty not merely to secure convictions of alleged terrorists, but to uphold the American system of justice. The posting was a huge leap from Wright’s previous assignments. He’d only been a practicing JAG attorney for a few years, and while he’d already tried a half-dozen serious felony cases, none were even close to the magnitude of the KSM case. “At the time I thought my role would basically be limited to discovery analysis and drafting motions,” says Wright. “I didn’t think I’d have a prominent role arguing in court or otherwise.” But since his appointment, Wright has taken a central role on the legal team. He has represented Mohammed at every court proceeding since his arraignment in May 2012. Wright estimates he’s spent over 200 days in Guantánamo meetings with his client and attending court proceedings, and another 100 days in Europe and the Middle East attending capital defense training, developing a rapport with potential defense witnesses, and investigating facts crucial to the defense. “I certainly had moments when I’d wake up in the morning and it would take me about five seconds to remember where exactly I was in the world,” Wright says. 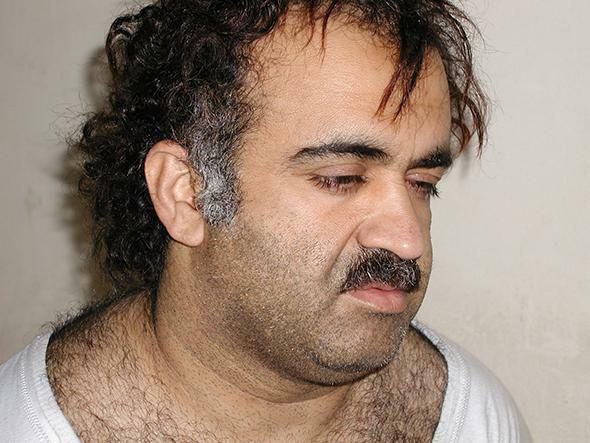 Khalid Sheikh Mohammed is shown in this file photograph during his arrest on March 1, 2003. Wright’s client, Khalid Sheikh Mohammed, was captured in Pakistan in 2003 and held at various CIA black sites before being sent to Guantánamo in 2006. The first military commissions in Guantánamo were established by the Bush administration to prosecute detainees, but lacked the assurances of a fair trial under the U.S. Constitution and the Geneva Conventions. Defendants were prohibited from hearing much of the evidence against them, and hearsay evidence or admissions gained under torture were admissible. Several military prosecutors resigned in protest. The first commissions were invalidated by the United States Supreme Court in 2006. A revamped Military Commissions Act was enacted in 2009. This new version of the commissions strives for greater transparency and at least the appearance of a fair trial, including provisions affording more autonomy to defense attorneys. In April 2011, Attorney General Eric Holder announced that Khalid Sheikh Mohammed would be tried under one of these new commissions. Brig. Gen. Mark Martins was appointed to prosecute Mohammed and his co-defendants. Martins fought to distance himself from the perceptions of illegitimacy plaguing earlier versions of the Military Commissions. He readily speaks to the media and invites journalists to attend pretrial proceedings at Guantánamo. JAG attorneys operate under the auspices of the U.S. Department of Defense. They are part of the very government that tortured them in CIA dark sites before their transfer to Guantánamo. KSM was subjected to water boarding 183 times in a single month before being brought to the base. Khalid Sheikh Mohammed, (2nd R) addresses the judge during the third day of pretrial hearings at Guantánamo Bay, Cuba, Oct. 17, 2012. But the Army simply doesn’t believe that Major Wright’s removal will have any lasting effect on the defense team’s ability to continue representing Mohammed. Lt. Col. Alayne P. Conway, an Army public affairs officer, argues that reassigning a JAG—even from a death penalty case—will have a minimal impact on the attorney-client relationship because the civilian attorney, David Nevin (referred to as “Learned Counsel” within the commission setting) will remain on the case. The Army reassignment orders Wright received in February are nothing unusual. As Lt. Col. Conway explained, the graduate program to which Wright was assigned is a requirement for all active Army JAGs. What is unusual, according to the Mohammed defense team, is that the Army has not granted an exception to allow Wright to stay on the team. Based on the magnitude of the case, and the fact that Wright’s deferral to the graduate program was granted without issue the year before, the team expected another routine deferral. When the Army denied the deferral, Wright and Nevin immediately appealed to the Army for an explanation. They were told that under the new detailing orders, Wright had two options: He could either leave the Mohammed defense team and attend the graduate program, or leave the Army. Regardless of the Army’s motives, when his deferral from the graduate program was denied Wright faced an ethical dilemma: leave his client for the required graduate course, or quit the Army? Wright reasoned that resigning would allow him to carry out his professional obligation to his client for a few months longer, and to perhaps continue representing Mohammed as a civilian after he leaves the Army. So two weeks ago, Major Wright flew to Guantánamo Bay to represent Mohammed at a series of pre-trial hearings, the last time he did so as a JAG. In his last week in the Army, Jason Wright is crisscrossing the Washington, DC area, carrying around a two-page checklist that reads like something from a scavenger hunt: a signature from the Housing Office. A mandatory briefing on Military benefits. Another signature from the Career Transition Office. All tasks he must complete before he officially returns to civilian life. The Mohammed defense team has explored other avenues that would allow Wright to remain permanently on the case. They have requested the Convening Authority—which authorizes funds for the various legal teams—to appoint Wright as a civilian, but to date they have declined to do so. Wright and Nevin have also asked the trial court judge, Colonel James Pohl, to order that a civilian position be created to keep Major Wright on the Mohammed defense team. Pohl has questioned whether he had the authority to do this. The long-term consequences of Wright’s removal have yet to be seen. The 9/11 military commissions have been unable to shake the perception of illegitimacy, and Wright’s removal seems to heighten this perception. The worst-case scenario would be that Wright’s removal has the effect that Guantánamo defense attorneys like David Nevin and Captain Schwartz fear: The relationship between the defense team and their client is weakened past the point of functionality.